Somalia’s (s)election may have become a site for competing?elites rather than competing visions. But the importance of the?imperfect process should not be underestimated. ?If all goes according to (the latest) plan, Somalia will hold parliamentary elections on 23 October, with the appointment of the president set for 30 November. Bujumbura (Burundi) –?The East African Community (EAC) Court of Justice found the complaints about President Pierre Nkurunziza’s third term unfounded. The EAC’s civil society collective, EACSOF, made the complaints but the court said it cannot rule on a case already decided by the local courts. The Democratic Republic of the Congo (DRC) is in the midst of a protracted political crisis as President Joseph Kabila manoeuvres to stay in power past the end of his second term, which expires this December. 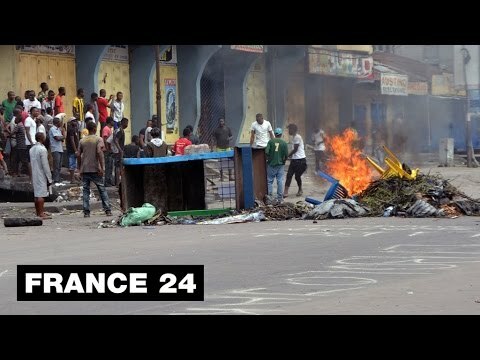 ?Kabila’s undemocratic machinations – most notably le glissement (‘slippage’) or delaying of elections due to “logistical” issues – have drawn the ire of much of the population with frequent protests and strikes rocking the country since early 2015.